The Kahana Kai Estate is perfectly located directly on Kahana Bay. This private beach front rental offers accommodations and lodging at one of the most beautiful vacation area on the island of Oahu. Kahana Kai offers tenants the opportunity to experience the "Real Hawaii". Secluded on the ever quiet Windward side, Kahana Kai offers privacy & serenity away from the hustle & bustle of the city. Truely a place of relaxation. Ammenities are many here at Kahana Kai, swimming, snorkeling, diving, sunbathing, boating, tennis, Internet access, Therapeutic Massages (by fully licensed staff)in your room or on the private ocean lanai. The Ocean Suite offers 3,000 sq. ft. of living space, private lanai, private spa, master bedroom, 1 1/2 baths, TV, stereo, central air. All of this and much more overlooking the ocean & Koolau Mountains. Kahana Kai Estate is a private 5000sq ft home located on an acre of tropical gardens with waterfalls and white sandy beaches. Tonga & Bali rooms with Queen bed and overlooks tropical gardens and waterfalls with views of the Koolau Mountains. Overlooks the Koolau Mountains, tropical gardens and waterfalls. The Garden Suite also has its own lanai, patioi furniture, private rock spa, own kitchen, bathroom, 40" TV W/VCR and stereo. All accommodation rates do not include taxes. Cleaning charge $50.00 for all accommodations. This incredible 6 bedroom,5 bathroom private home is located right on Kailua Beach. You can't get any closer, just steps from world class windsurfing, snorkeling, SCUBA diving, bodysurfing and much more. Kailua is consistantly rated as one of the world's most beautiful beaches. Along with 6 bedrooms, sleeping up to 10 people, this 3,000+ sq. ft. home also includes a private pool, hot tub, sauna, fireplace, color TV with cable and VCR, stereo with CD player. 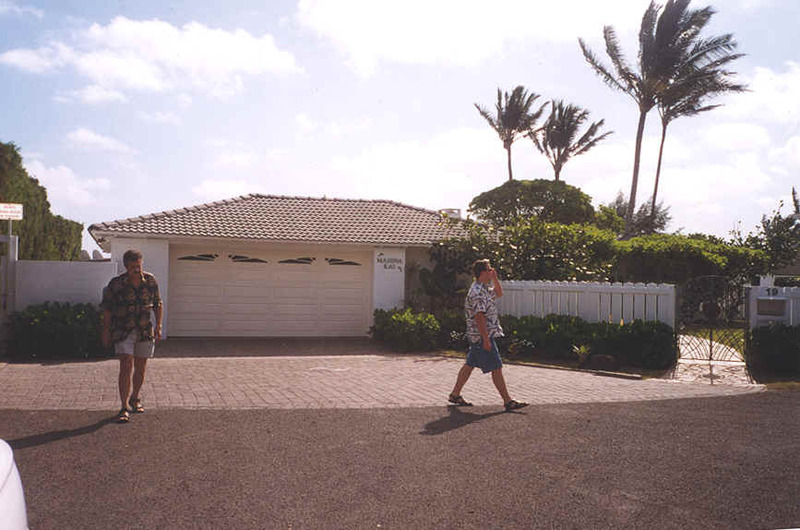 There's also a 2 car garage, a large courtyard, large lanai's with breath taking views of Kailua beach and the Ocean. Based upon 8 persons, sleeps up to 10 persons, $25 per night for each additional person. 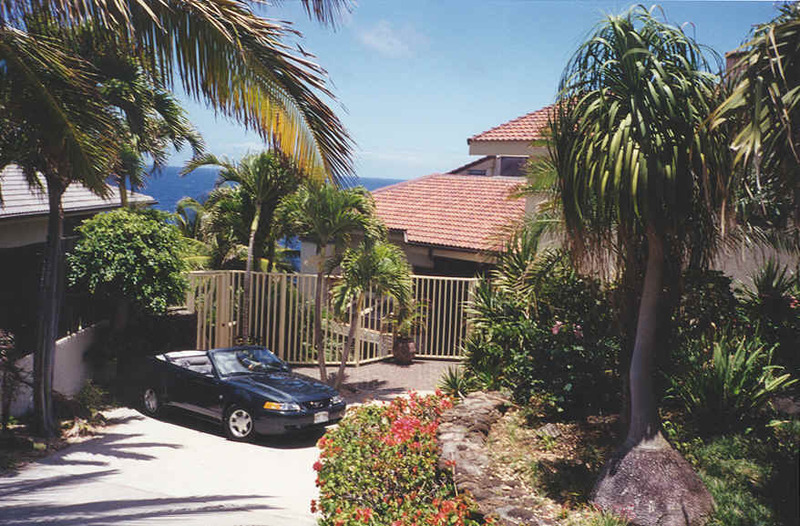 The Koko Head Ocean Front Home provides tenants with over 5700+ sq. ft. spanning three floors of incredible luxury. Enjoy romantic ocean views from any one of four lanai's and also do some whale & dolphin watching. This home contains 4 bedrooms, 3 1/2 baths, comfortably sleeping up to 8. Other fantastic ammenities are: elevator, wine cooler, pool, hot tub, color TV with cable and VCR, stereo with CD player and a guest house with 1 bedroom, bath, living room & kitchen. The property is gated to ensure maximum privacy and safety. Based upon 6 persons, sleeps up to 8 persons, $25 per night for each additional person. 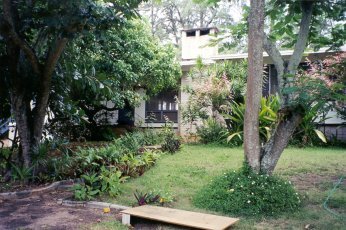 Chun's Reef is one of North Shore's surfing Hot Spots and this 2 bedroom 2 1/2 bathroom beach home puts you close to the action!! This beautiful beach front home really takes you away from reality, with its quiet location, open beam ceilings, and private lanai's to view spectacluar sunsets. The home sleeps 4 people, has a carport for two, living room with fireplace, dining room, and walk-in closets. This magnificent home offers almost 5,000 sq. 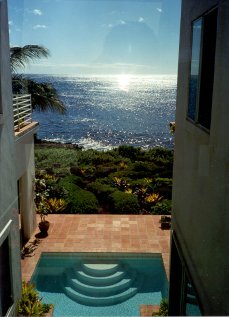 ft., sleeps up to 8 people, offers 4 bedrooms, 4 1/2 bathrooms, and private lanai's to view spectacular ocean sunsets. Located on the North Shore, this home is centrally located between all the surfing Hot Spots, just minutes from Sunset Beach, Bonzai Pipline, Haleiwa, and Waimea Bay. Of the 4 bedrooms, 3 are master suits, of which 2 suites have Jacuzzi Tubs. Other great features are pool, color TV with cable and VCR, stereo with CD player, hardwood floors, and guest quarters with King bed & kitchen. 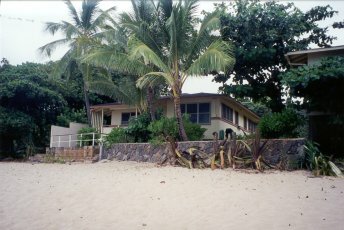 Both Haleiwa North & South beach bungalows each have 3 bedrooms, 1 1/2 baths and sleep 6 people. These fantastic properties are located right on the beach offering you priceless views of the spectacular North Shore and its postcard sunsets. 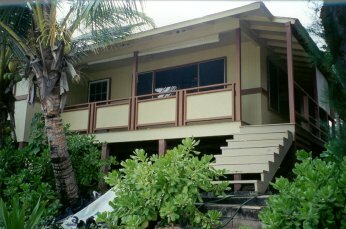 Each beach bungalow has color TV with cable and VCR, stereo with CD player and a deck on the beach to sit and relax while viewing some of the most beautiful sunsets Oahu has to offer. Based upon 4 persons, sleeps up to 6 persons, $25 per night for each additional person.